Founded in 1955 and based in San Antonio, Texas, Valero Energy Corporation (NYSE:VLO) is an independent petroleum refining and marketing company. VLO's refineries produce conventional and premium gasoline, including gasoline meeting the specifications of the California Air Resources Board. VLO's ethanol segment produces ethanol and distillers grain. This is the final position I'm transferring while consolidating my portfolios containing dividend paying stocks. In these posts I've been capturing past transactions and dividends received, along with giving reasons why I like the stocks. The most pleasing aspect of all is that DivGro's projected annual dividend income (PADI) received a significant boost. Every month, I rank a selection of David Fish's CCC stocks to identify top candidates worthy of further analysis. Using several screens, my selection process trims the CCC list of more than 750 dividend growth stocks to a manageable number of candidates. I rank these stocks using fundamental analysis and a multi-stage dividend discount model and assign a 7-star rating to each of the top ranked stocks. This article reveals April's top 10. Recently, 11 companies on my watch list announced dividend increases, including 1 of the stocks I hold in my portfolio. The past quarter has been a busy one for DivGro, with several buys and a continuation of the portfolio consolidation process I initiated last year. I completed the transfer of my Scottrade holdings to DivGro and I'm proceeding to do the same with two IRA accounts, one traditional and one ROTH. The process is nearly complete and should be finalized later this month. Starting with this quarterly report, I'll be including performance charts for DivGro positions that are at least one year old, on average. So far, I've created these charts only for annual reviews. The reason I want to do them quarterly is so I can more closely monitor the performance of longer term holdings. If stocks do not perform acceptably, they should be replaced. Established in 1922 as the American Appliance Company, today Raytheon Company (NYSE:RTN) is a leading U.S. military contractor, specializing in defense, security and civil markets throughout the world. The company provides state-of-the-art electronics, mission systems integration, cyber security systems, and communications and intelligence systems. It also provides business and special mission aircraft. RTN is headquartered in Waltham, Massachusetts. RTN is a Dividend Contender with a 12-year streak of dividend increases. The company pays quarterly dividends of 73.25¢ per share in the months of February, May, August and November. At the current share price of $126, the stock yields 2.32%. Recently, 7 companies on my watch list decided to increase their dividends, including 1 of the stocks I own. Founded in 1939 and based in Falls Church, Virginia, Northrop Grumman Corporation (NYSE:NOC) is a leading global security company with both government and commercial customers. NOC provides systems, products and solutions in unmanned systems; cyber security; command, control, communications and computers intelligence; surveillance and reconnaissance; and logistics and modernization. NOC is a Dividend Contender with a 12-year streak of dividend increases. The company pays quarterly dividends of 80¢ per share in the months of March, June, September and December. At the current share price of $200, the stock yields 1.60%. Founded in 1909 and headquartered in Bethesda, Maryland, Lockheed Martin Corporation (NYSE:LMT) is a global security and aerospace company engaged in the research, design, development, manufacture and integration of advanced technology systems. The company also provides management, engineering, technical, scientific, logistics, and information services. I'm busy consolidating several portfolios containing dividend paying stocks. This transfer adds a new position to DivGro, which now contains a total of 60 holdings. This article explains why I like LMT as a dividend growth stock. 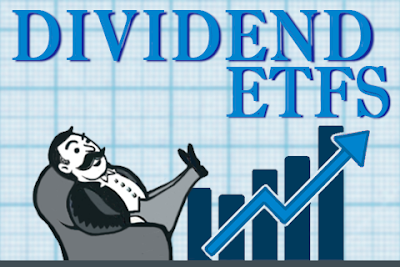 Recently, 7 companies on my watch list announced dividend increases, including 1 of the stocks I own. Intel Corporation (NASDAQ:INTC) is an American multinational semiconductor chip maker corporation with headquarters in Santa Clara, California. Intel makes motherboard chipsets, network interface controllers and integrated circuits, flash memory, graphic chips, embedded processors and other devices related to communications and computing. It is the world's largest and highest valued semiconductor chip maker, based on revenue. Before freezing its dividend in 2014, INTC had a streak of 9 consecutive years of dividend increases. The company resumed increasing its dividend in 2015. March was a busy month for DivGro. Following the market's downturn in January and February, I doubled down on no fewer than 6 of my existing holdings, equating to about $15,000 of fresh capital deployed. I'm busy consolidating several portfolios so I can manage my dividend paying stocks using the investment strategies developed for DivGro. I'm not actually moving stocks between accounts. Rather, I'm recording transaction history and updating dividend income and projected dividend income totals. As always, I'm updating my Performance page with the most recent month's statistics. March 9, 2016: Bought 44 shares of ABBV at $56.16 per share. AbbVie Inc. (NYSE:ABBV) is a world-wide, research-based biopharmaceutical company that develops and markets products to treat conditions such as chronic autoimmune diseases, including rheumatoid arthritis, psoriasis and Crohn's disease; hepatitis C; human immunodeficiency virus (HIV); endometriosis; thyroid disease; Parkinson's disease; complications associated with chronic kidney disease and cystic fibrosis, and other health conditions. ABBV was incorporated in 2012 and is based in North Chicago, Illinois. ABBV spun off from Abbott Laboratories (NYSE:ABT) in January 2013, so the company does not yet have a long track record of paying and raising dividends. The company has top-notch financials, with a double-digit growth rate for each of the last 3 years. I expect significant dividend growth from ABBV in the next few years. Recent Transfer: Reynolds American, Inc.
Reynolds American, Inc. (NYSE:RAI) is a holding company. Through its subsidiaries, RAI manufactures and sells cigarettes and other tobacco products in the United States. The company also provides electronic cigarettes. It distributes its products primarily through direct wholesale deliveries from a local distribution center and public warehouses. RAI was founded in 2004 and is headquartered in Winston-Salem, North Carolina. RAI is a Dividend Contender with an 12-year streak of annual dividend increases. The company pays quarterly dividends of 42¢ per share in the months of January, April, July and October. April 1, 2016: Bought 59 shares of NIE at $18.09 per share. AllianzGI Equity & Convertible Income Fund (NYSE:NIE), formerly AGIC Equity & Convertible Income Fund, is a diversified, closed-end management investment company. The fund's investment objective is to seek total return consisting of capital appreciation, current income and gains. NIE is a closed-end fund (CEF) that distributes income quarterly. The current distribution rate is 8.36%. Earlier this year, I transferred 237 shares of NIE from my portfolio at Scottrade to DivGro. With this buy, I'm adding 59 shares for a total of 296 shares. Founded in 1886 and based in New Brunswick, New Jersey, Johnson & Johnson (NYSE:JNJ) has grown into one of the largest companies in the world, employing 128,000 people across 275 operating companies. The company is a leader in the pharmaceutical, medical device and consumer products industries. The company distributes its products to the general public, retail outlets and distributors, wholesalers, hospitals and health care professionals. JNJ is a Dividend Champion with an impressive 53-year streak of dividend increases. It pays quarterly dividends in March, June, September, and December.